Heading into the 2015 NBA Playoffs, most expected the Eastern Conference to come down to a battle between the Atlanta Hawks and the Cleveland Cavaliers. In the end, that may very well be the case. But right now, given the way this team has stepped up its game recently, it might not be wise to sit on the Washington Wizards. 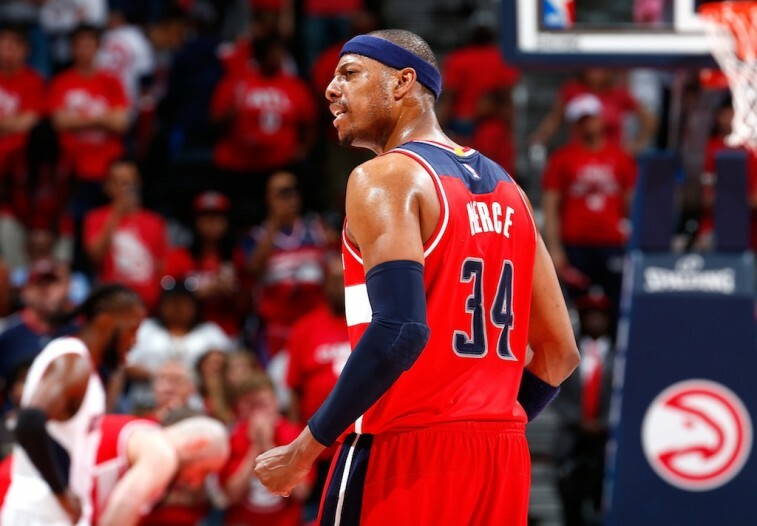 The Wizards are one of the only teams in the East to have an undefeated record this postseason. That trend continued on Sunday in the conference semifinals. With Bradley Beal putting up a game-high 28 points and John Wall setting the tone with 18 points and 13 assists, Washington went into Atlanta and stole home-court advantage with an impressive 104-98 victory over the top-seeded Hawks. While this is nothing new for the Wizards, who have now become the first team in NBA history to win four straight Game 1s on the road, something does feel different about this 2014-2015 bunch. 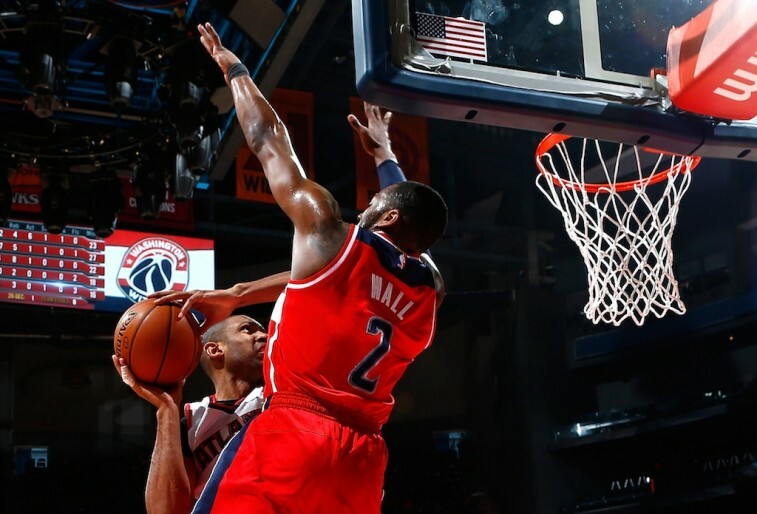 The Washington Wizards limped into this year’s postseason. They lost their last two games and went 6-4 over their final 10 contests. However, once the playoffs began, Randy Wittman’s group flipped a switch and are now playing at a much higher level. This is a team that’s finally starting to reach its potential and play as a cohesive unit. Right now, the Wizards are extremely confident — and they should be. At this rate, that confidence could very well carry them to the NBA Finals. Once the postseason begins, it takes a different sort of mindset to advance to the later stages. This stretch of the year is physically and mentally taxing. If you’re unable to adapt to the challenges that may arise, then you’re not going to be successful in the NBA playoffs. As the underdog, it would appear that the Wizards understand this. For a team that’s been in this role before, Washington recognizes that opponents are going to come out swinging from the opening tip. The key is it to withstand the early barrage. From that point on, the Wizards can control the game and dictate the pace. The only way to play this sort of basketball is to be a tough team — one that exudes grit. As a bunch that’s now 8-1 on the road in the last two postseasons, that’s clearly these Wizards in a nutshell. 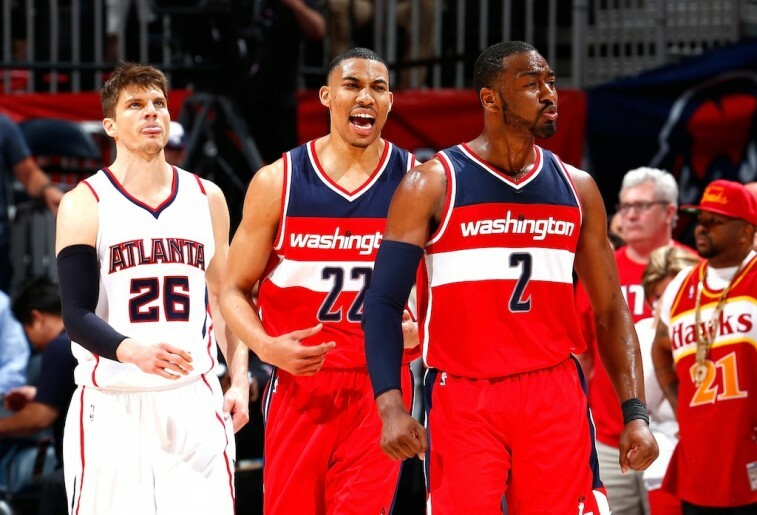 Washington won Game 1 because it made the contest uncomfortable for the Atlanta Hawks. The Wizards used their top five defense to smother the home team and keep them off-balance offensively. The Hawks usually move the ball well and find space for their shooters, but Washington prevented Atlanta from finding a groove; the latter only shot 37.8% from the field. On top of that, they committed 11 turnovers to just six on Washington’s part. What this game eventually come down to was desire, which team wanted it more. The Wizards have shown time and again an ability to win these type of games. And that could prove trouble for the East’s best. In all professional sports, there is a formula for winning in the postseason. Aside from talent, playoff success is won with depth, health, an ability to win on the road, and the resilience to overcome ugly games. It also doesn’t hurt to have a veteran presence available to provide insight and knowledge with regard to the road ahead. This year’s Washington Wizards posses nearly all of the above traits. They don’t get flustered, they don’t back down on the road, and they’ve now been in this position before. That makes them one of the more dangerous teams in the playoffs. This team didn’t have anyone’s attention before the postseason began, but you can bet that’s changed. Even more than before, the opposition is going to give Washington its best shot. The Wizards have already shown they can take it. Which is why we shouldn’t surprised if they end up taking the East, as well.